Color theory isn’t always the most exciting topic but, this Valentine’s Day your child can create a shades of red gradation design, honing his color theory skills and design abilities! With the help of a ruler and some color mixing, not only will your child learn more about color theory, but create abstract artwork, too! With a piece of paper positioned horizonatally, or the longest edge facing him, invite your child to use the ruler to make nine vertical parallel lines. He can make the lines the same distance apart or lay down randomly distanced parallel lines. Now he'll make a horizontal line intersecting the vertical ones. This line can be angled or straight, whichever he prefers. Encourage him to use the ruler as needed. When he's done he'll have 20 various sized rectangular shapes! It’s time to get mixing! Invite him to put a small amount of red tempera paint on a sheet of scrap paper. 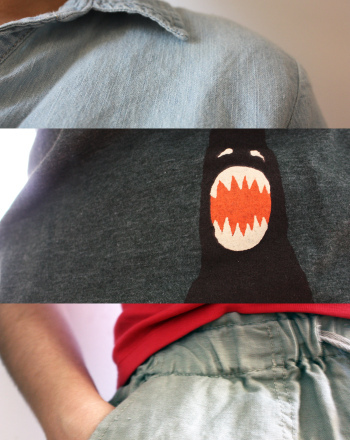 You can talk to him about what a gradation and color gradient is: the gradual mixing of one color into another. Have your child paint the top upper-most right rectangle, and the lower left-edge rectangle, red. Now he’s ready for gradation painting! Next by mixing a small amount of white paint together with the red he can make a new gradiation of color to fill in the following two rectangles, working from right to left on the top half of his paper and left to right on the bottom! Invite him to start painting in the rest of the rectangles by mixing different amounts of white paint together with the red. 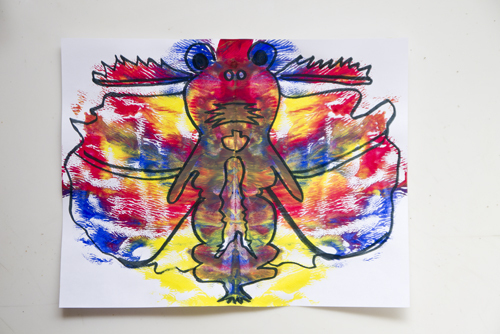 Encourage your child to continue mixing and painting until his whole paper is filled with the different gradations of color created with red and white! 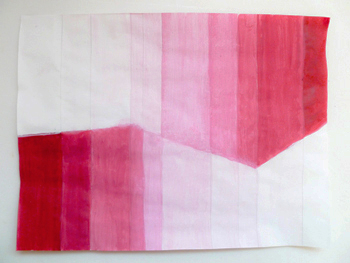 Display the finished painted gradation design where others can enjoy it for Valentine’s Day! 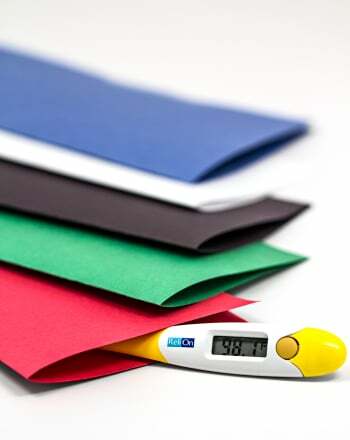 This science fair project idea investigates how color affects temperature. 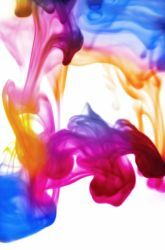 Your child can explore color mixing and design while folding together a paint-filled paper and then using a marker to outline it. 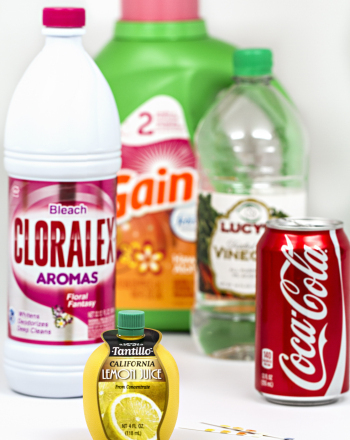 Chemicals react with H+ and OH- ions to produce color change. 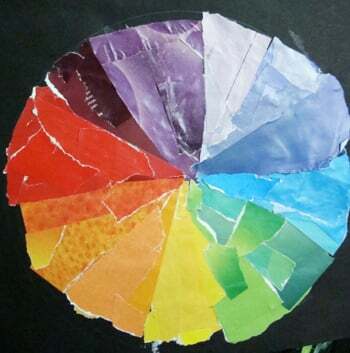 Recycle paper and old magazines with this art project that creates a great tool for artists: a color wheel! This science fair project idea explores whether color affects a person's emotional state. Learn more about this cultural icon with this Color the World social studies sheet. Try something a bit more fun and festive with this advanced color by number worksheet! Young biologists will learn about some of its most important parts by completing this color by number worksheet. 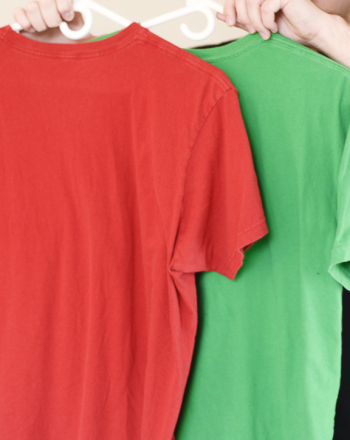 This science fair project idea explores whether there is a connection to the color a person wears and the way their emotional state is perceived by others. The coloring page lets you color in canals of the famous city. 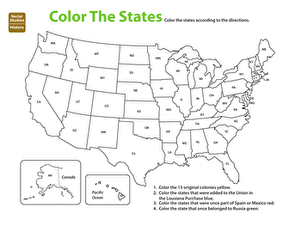 Bump up your 5th grader's U.S.expansion knowledge with this social studies worksheet that asks her to color code the states according to history. See this activity in a set: Challenge Your 5th Grade Artist!